New Delhi, January 15: Justice AK Sikri, who along with Prime Minister Narendra Modi favoured the removal of Alok Verma from the post of CBI director, did not want to be part of the three-member selection committee. Justice AK Sikri conveyed his unwillingness to PM Modi and Congress leader Mallikarjun Kharge, the opposition's representative in the panel. Justice Sikri told PM Modi and Kharge it was a "pure executive function", reported NDTV quoting sources close to the Supreme Court judge. During the meeting of the three-member panel, PM Modi and Justice Sikri had the same view on Verma's transfer, Kharge had dissent view. Apprehensions were raised on Justice Sikri's role after the Modi government offered him a plump post-retirement. CBI vs CBI Battle Explained: Why Alok Kumar Verma and Rakesh Asthana are at Loggerheads? How it All Started. While Justice Sikri turned down the offer, Verma's removal continues to draw flak. The Supreme Court judge became the part of the panel after Chief Justice of India Ranjan Gogoi, who passed the order to reinstate Verma as CBI director, had nominated him in his place. "In future, no judge would like to be part of this process of appointment," sources close to Justice Sikri told NDTV. Speaking to news agency PTI, Justice Sikri said he wants the controversy to die even as some senior advocates on Monday termed the incident mischievous and aimed at targeting him. “See I don’t want the controversy to be dragged. I want it to die,” he said. 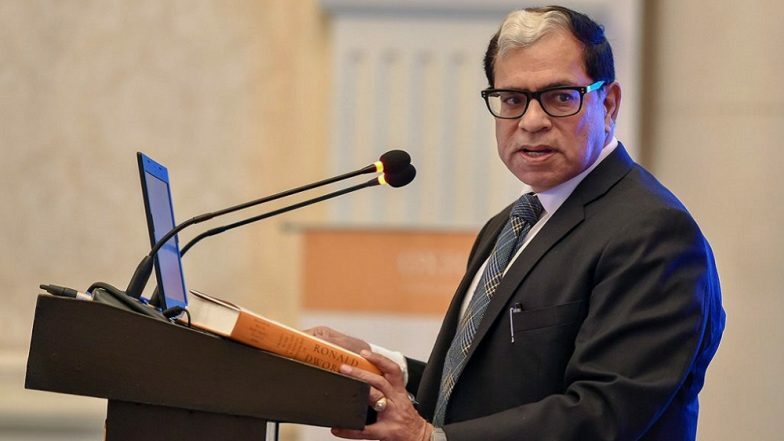 Justice Sikri got a government offer last year for a post-retirement assignment at the London-based Commonwealth Secretariat Arbitral Tribunal (CSAT). "There is no connection between the two issues and people who don’t know the facts and circumstances under which the two things happened — giving consent for assignment at London-based Commonwealth Secretariat Arbitral Tribunal and his nomination by the CJI in the Prime Minister-led panel on the former CBI chief issue — are instrumental in making allegations which are utterly false and malicious," former Attorney General Mukul Rohatgi said.